Hi, McFarland, Oregon, DeForest, and Cottage Grove! Although we’ll be new to your backyard, we’re a home-grown company. In fact, odds are, you’ve seen us around Madison at one point or another because we’ve been headquartered on the west side since our founding in 1969. Nearly 50 years later, lots of things have changed but our mission remains the same: to deliver great communications services to customers. Of course, technology looks quite different these days. Party lines and switchboards are long gone, and we’re staying ahead of the times by rolling out fiber-optic networks across the country—and, lucky for you, McFarland, Oregon, DeForest, and Cottage Grove are next on our list. That means you’ll soon be able to get the fastest internet around, all-digital TV service with a whole-home DVR, and still keep an oh-so-reliable landline. We’re really excited for you to give our services a try and we’re thrilled to be an official part of your community. Come and say hello when you see us at local parades and events—you might just recognize some of us. We’re doing a lot more than just having fun though. We’re busy finalizing the build plans so we can start construction as soon as we can (we’ll be doing our best to beat the winter freeze!). Look for more information about our rollout timeline in the next month or two on TDSFiber.com. Pop in your address for more information, and go ahead and register if you have the option. There’s no commitment, but signing up early means you’ll get the best deal and all of the available offers. If you want an endorsement before you register, feel free to talk to your friends in Waunakee, Middleton, Verona, Johnson Creek, and Sun Prairie. They’ll tell you what a difference TDS Fiber makes. For even more information, don’t hesitate to explore our other TDS Fiber blogs. We’ve talked about lots of things including 5 reasons fiber is better, or how the construction process works, and even why symmetrical internet speeds are awesome. And, if seeing is believing, feel free to wander over to Sun Prairie and visit what we’re calling the Tim O’Brien Tech Home. And the Sauk Prairie area 🙂 Got the flyer and already registered. Good times ahead. Hey Doug, don’t get too excited. I’m in Waunakee and have been getting the flyers for TDS fiber every month for over 2 years, but it’s still not available in my neighborhood (Southbridge). Bob, hang in there. We’ve heard similar from other Southbridge folks through other channels. We hope we can expand to your neighborhood sometime soon. In the meantime, if you’d like to send your address to comments@tdstelecom.com we can investigate why you’re getting our marketing materials if you shouldn’t be. Thank you! Someone was running aerial fiber throughout Monona, was that TDS? In this case it wasn’t us—we’re not working in that area. A different provider has been, from our understanding, replacing small sections of aerial fiber, possibly for backhaul purposes. I’m confused why my “area” of 200 households requires 120+ of them to sign pre-register to get service. Other neighborhoods or areas of similar size and around the same distance from the city center are only around 60-70 registrations required to get the service. I’m canvasing the neighborhood, putting up social media posts for our neighborhood, etc and never feel like we could get more than half the people to pre-register. Seems like an unrealistic expectation. Paul, I can get more information about your neighborhood’s threshold if you can tell me which one you live in :-). You can either reply here, or email comments@tdstelecom.com with the info and I’ll do my best to resolve the confusion. Thank you! What information do you need? We’re in Cottage Grove – neighborhood “L” on the map. For my numbers, I used HUD neighborhood mapping tool to draw the same lines as on the TDS map. That’s perfect, Paul. I’ll send your comment off to the experts. I’ll get back to you as soon as I have some info! Our marketing folks got back to me super fast! Here’s what I found out: We show a few more household than your map found, but it’s true the threshold is higher for your neighborhood than it is for some. The number of homes needed for TDS to approve a fiber build is based on the costs associated with building fiber to your area—and those can vary by neighborhood. Our marketing and sales strategy is designed to help your neighborhood meet the goal (and, we’re pleased to say that none of our Sun Prairie neighborhoods missed their target). This fall, you will see our sales team in the area and we will hold events where potential customers can talk with us about the project and the services we’ll be offering. 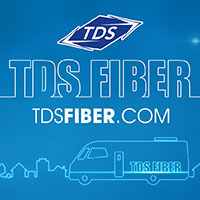 We really appreciate your enthusiasm for TDS Fiber and we can’t wait to get started! What if we signed up and are now moving to the other side of town? 1. Your first and last name (the one used on the registration). 2. The address on the registration. 3. The registration email address. I signed up and sent in my 25.00 and now it’s not available in my area? What’s going on? This was months ago. They said by October and that’s almost here. Hi Rebecca. Be sure to check TDS Fiber for any updates about date changes—things do sometimes shift a bit depending on how the build is progressing. It looks like the Prairie du Sac launch date is November 1, 2018–so it’s coming up quickly! We’re planning on expanding our fiber footprint in Middleton, so keep a watch out for more information in the coming months :-).